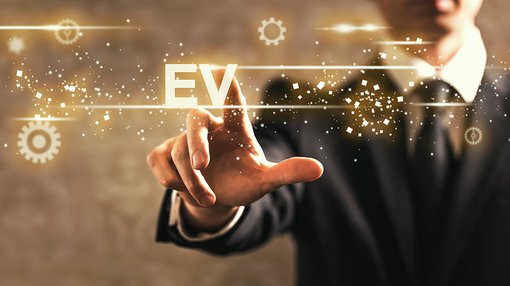 Victory Mines (ASX:VIC) today announced that the results were in from its recently completed desktop reviews on its newly acquired Husky and Malamute cobalt and scandium projects in NSW. The finalised desktop review focused on analysing and comparing the underlying geology in nearby peers’ tenure, namely that of Clean Teq (ASX:CLQ), Australian Mines (ASX:AUZ) and Platina Resources (ASX:PGM) that have already proven cobalt and scandium mineralisation. The review was designed to verify if the deposits were prospective through analysing legacy drilling records, evaluating unconsolidated surface geology, studying magnetic imagery and reviewing assets owned by peers for comparable geology. In summary, the comparative analysis found there to be significant exploration upside with significant cobalt and scandium mineralisation at both the Husky and Malamute projects. This is notable as several nearby peers’ deposits have JORC compliant Resources including AUZ’s Flemington, CLQ’s Sunrise (previously Syerston) and PGM’s Owendale, while legacy drilling results at Riva Resources’ (ASX:RIR) Hylea project have returned from 0.27% up to 0.85% cobalt. 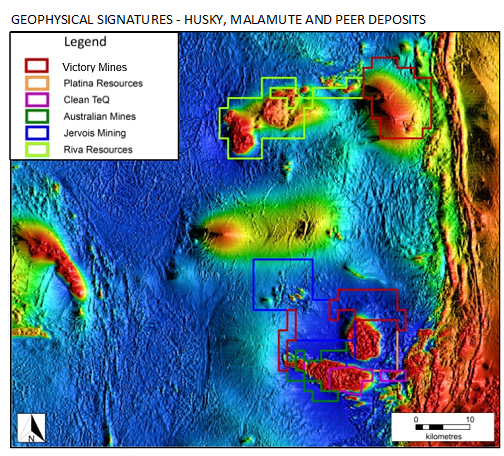 The Malamute project likely contains a geological analogue to CLQ, AUZ and PGM’s deposits, with similar geological traits been exposed by historic drilling, geological mapping and geophysical signatures. Yet the key difference between the geophysical signature at the Malamute project compared with CLQ and AUZ deposits is that the underlying intrusive body is entirely within the tenement boundaries. This potentially implies the Malamute project contains an area of lateritic mineralisation that is larger than CLQ’s and AUZ’s cumulative deposit. The Husky project overlies the same geophysical signature as CLQ’s Sunrise and AUZ’s Flemington deposits, which have proven cobalt laterite mineralisation. Recent exploration here doubled the cobalt and tripled the scandium mineralisation footprints within the boundary of the magnetic anomaly. The results also showed that the mineralisation was open in multiple directions — a positive upside indicator for the Husky West split tenure. The Husky prospect contains similar geological traits to CLQ’s deposit, implying it could potentially produce cobalt sulphate, nickel sulphate and scandium oxide once mined and processed using similar methods to CLQ. Backed by findings of the comparative analysis that suggest the projects have significant exploration upside, VIC’s Board is keen to fast-track the exploration plan and quantify the extent of geological mineralisation. The geology team is now drawing up detailed low impact soil sampling programmes over Husky and Malamute to identify target zones in preparation for future inaugural drilling programmes at the projects.